Last week Cakes and I ventured to Yummy Tori on Lothian Road to try out their new menu. 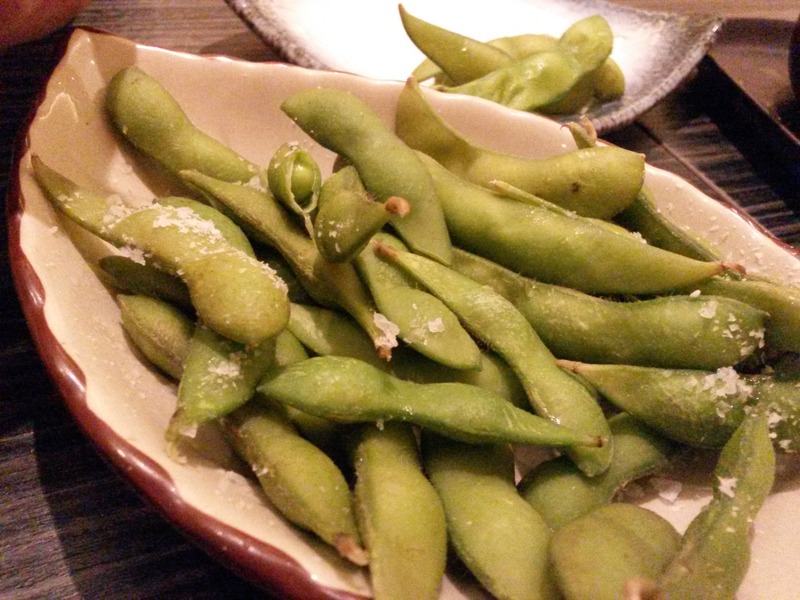 The restaurant themes itself around Japanese izakaya, which after some research, I discovered is a Japanese tapas bar. Sushi lovers should note, there is #nosushi on this Japanese menu! We ordered some edemane beans to start us off and took a good look at the menu. The tapas dishes are split into classic and gourmet, and you can order one of each for £10. 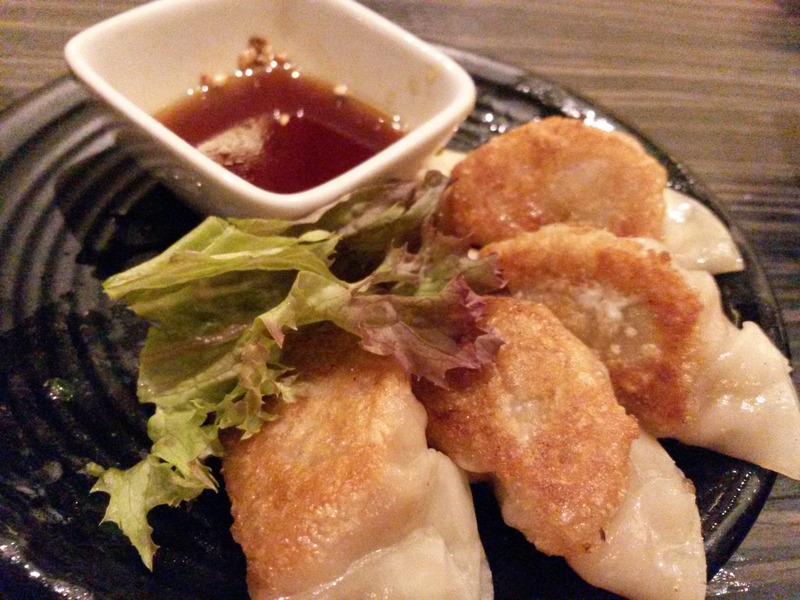 We started with chicken teriyaki and teppan gyoza – lovely little pork and vegetable dumplings. 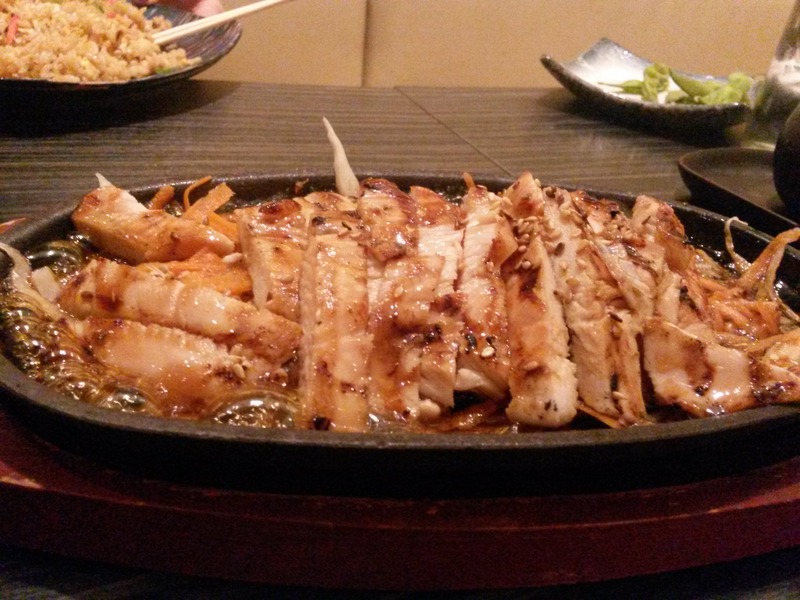 The chicken arrived, steaming and sizzling, and the flavours were just as impressive. 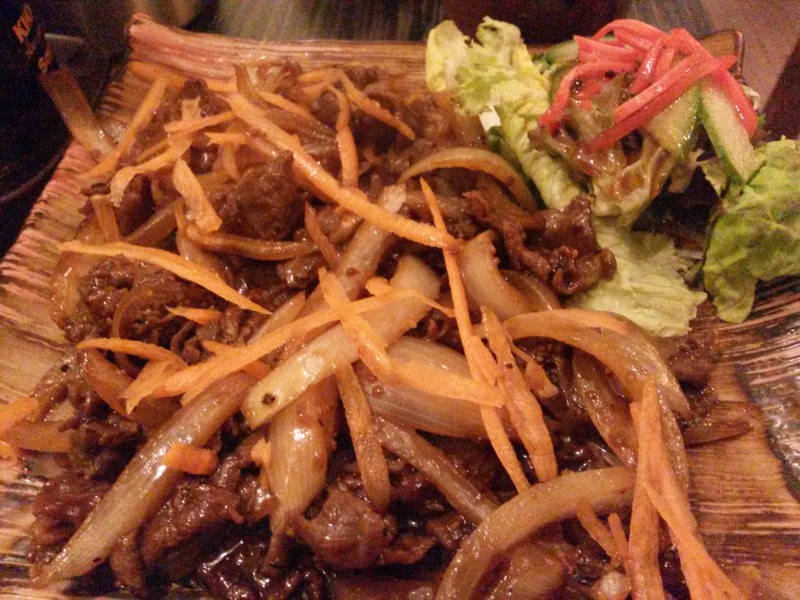 From the gourmet section we chose prawn tempura and yakiniku beef. The latter consisted of thinly sliced beef with onions in a black pepper sauce, this was my favourite dish of the night. 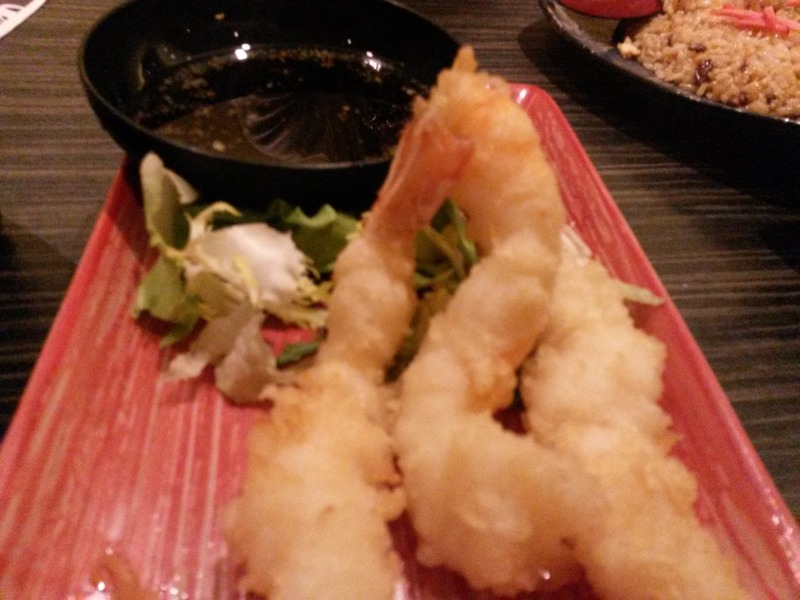 The tempura was light and crispy and the prawns were juicy and large. 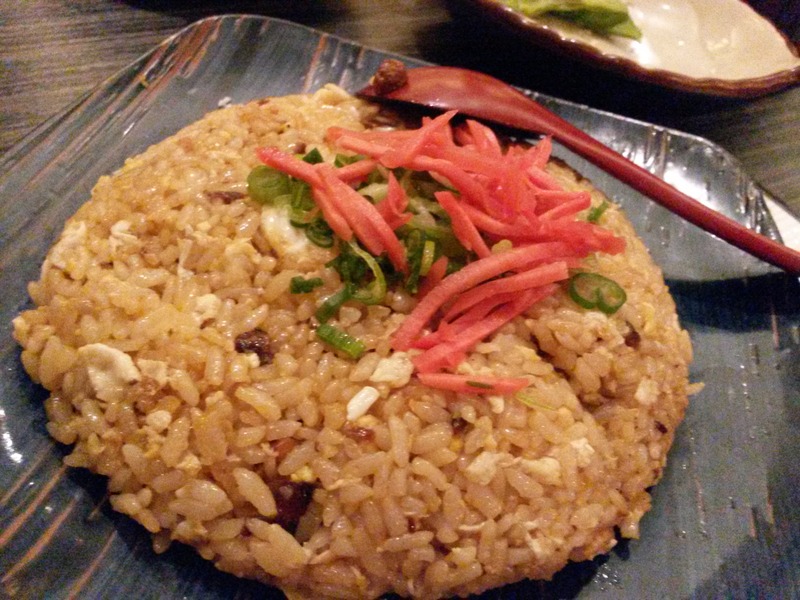 Some garlic fried rice was a perfect side dish to accompany the tapas – one between two would be sufficient, as the portions are generous. On to the yakitori skewers. Again there is the option to have 3 or 4 skewers on a tasting plate. 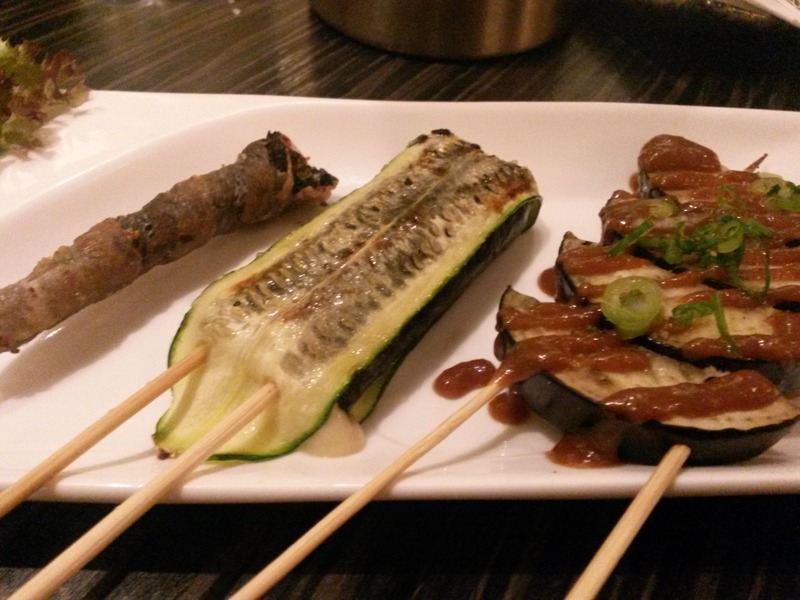 We tried yaki ebi (prawns wrapped in seaweed and shaved pork) miso aubergine and finally a cheese and courgette skewer. Of the trio we most enjoyed the roasted aubergine in miso sauce. To wash it all down we enjoyed a really reasonably priced bottle of Italian white wine – we were not quite adventurous enough to try any of the homemade Japanese cocktails on the menu, those will be for another visit. The whole Japanese tapas experience was social, tasty and relaxed. Unlike other tapas menus, as you can see from the pictures, the portions are large, which is perfect for sharing. 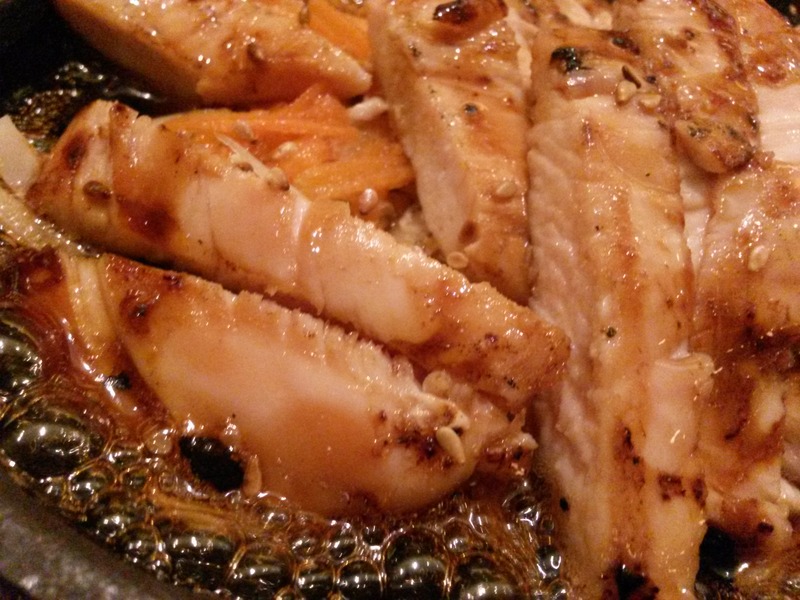 The staff were friendly but not over-bearing and happy to explain and recommend menu options. For a Thursday evening the restaurant was not nearly as busy as you would hope. 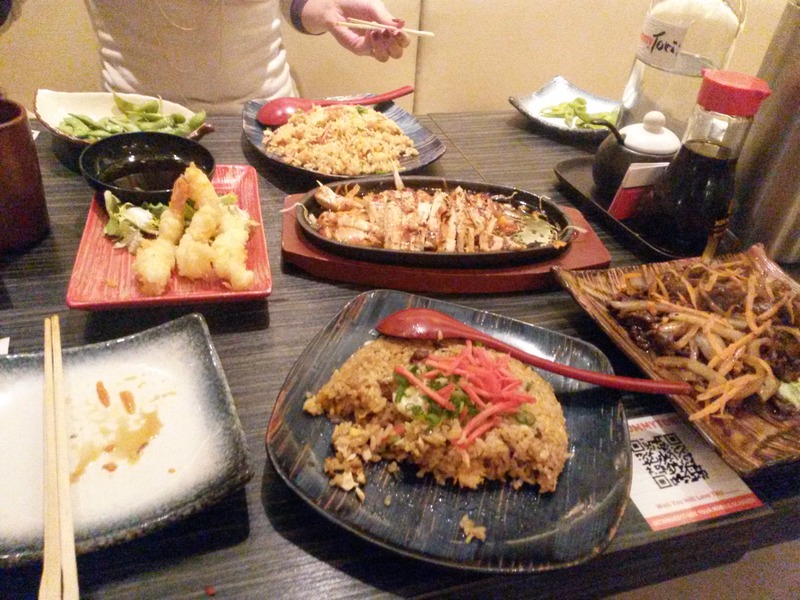 There is no denying there are a lot of delicious Japanese restaurants to choose from in Edinburgh, Oishii on Rose Street and Bonsai being two of my favourites. However few are as reasonably priced as Yummy Tori. All that I have mentioned is just a small selection of many interesting dishes on the new menu, you can see them all for yourself here. I will definitely be going back, despite there being #nosushi!